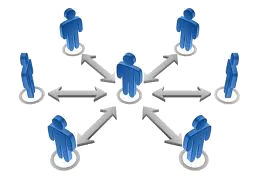 Affiliate marketing is revenue sharing advertising between two websites. $50.00 USD – Minimum balance required for payout. Payments are made on the 15th of each month, for the previous month. Payment will be made by PayPal or by paper check. For each new customer you refer to Official Music Bible through our website or offline affiliate program, we’ll pay you 30%=$3.00 of each sale of the product and $3.00 per recurring sale on the top tier for every active member of the membership site each and every month. For each tier level customer, your affiliates refer to Official Music Bible through our website or offline affiliate program, we’ll pay you 30% of each sale of the product and $3.00 per recurring sale on the top tier for every active member of the membership site each and every month. THIS IS ALEX ON TOP tier x 1000 people =$3000 recurring payment every month! AND IT KEEPS GROWING AND GROWING!